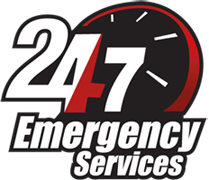 esponse times in the business and they will have a technician on his way to you within minutes of your call. So, whether you are locked out of the house, you have locked your keys in the car, or you lost your car keys, our team of highly-trained locksmiths can resolve the situation before you know it. Saint Petersburg Locksmith is also your home and business security resource, offering the best residential and commercial lock and security solutions. Call us for a complete home or business security evaluation. We will assess your doors and locks and suggest ways to improve security inside and out. We understand that hiring a professional locksmith can be stressful. You are never quite sure if you are being charged a fair price, and there are many locksmith scammers out there. With Saint Petersburg Locksmith, you don’t have to worry! We want your business over the long-term and we want your referrals as satisfied customers. That’s why we pledge to provide the highest-quality service possible at realistic and reasonable rates and stand behind our work 100%!